Get your motor runnin’ and put the hammer down with thousands of riders on America’s most scenic highway! Phil Peterson’s 46th annual Poker Run is Friday, September 14th through Sunday, September 16th. Hop on your hog or just watch and listen as American cruisers and imported crotch rockets rumble, growl, and tool down historic US1 from Miami to American’s southernmost city. Each registered rider will get a playing card at each of the 5 official stops. Poker Run hands are only $10. 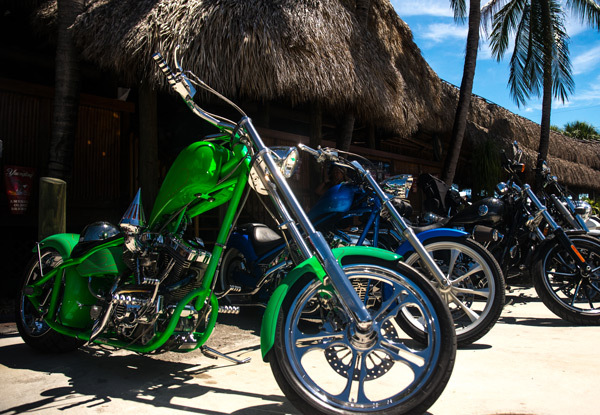 Hold on to your handlebars and cruise through paradise for the Florida Keys Poker Run. You can sign up in person starting September 1st, at either one of the Peterson’s Harley-Davidson Dealerships. Location details can be found here. Buy as many hands as you like and increase your chances. 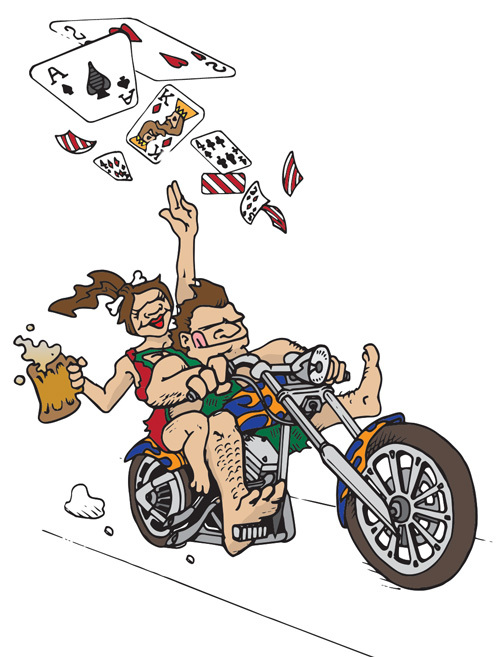 The best Poker Run hand is winner take all: $5,000 cash. Boondocks Grill and Draft House is official stop # 5 of the Florida Keys Poker Run. At mile marker 27.5 we are about 45 minutes from Old Town Key West. And here on Ramrod Key Boondocks has something for every rider, waxer, tail gunner, and even pet to do all week. Boondocks has live music every night either in the bar or on stage next to the fire pit. Tuesday night is bingo and Wednesday night is the ultra competitive trivia night with local favorite Erika hosting. Erika pits wits of locals and visitors against one another in areas of pop culture, sports, history, science, and more. Boondocks legendary mini-golf course is the only one in the Keys and will challenge even the most grizzled putt-putt veterans of any age or skill level. The freshest fish, tastiest bar food and coldest drinks are waiting for every local, tourist, and especially thirsty Poker Run rider. Hit Boondocks gift shop before you burnout to grab a handful of goodies for your little choppers back home. We’ll see you at Boondocks, stop number 5, Mile Marker 27.5 under the biggest tiki hut in the Florida Keys. You wont miss us!